If you’re in a romantic relationship with someone who has a tough time staying on their side of the bed at night, Ford has your back; sort of. Despite Ford’s reputation for making heavy-duty trucks and other vehicles, the company published a blog post today that reveals a new product idea they’ve come up with: a Ford-branded mattress with a built-in conveyor belt. The mattress, called the “Lane-Keeping Bed,” is designed to help individuals “reclaim a fair share” of their mattress from “space invaders” (Nice one, Ford) who tend to roll around in their sleep. The concept is simple. 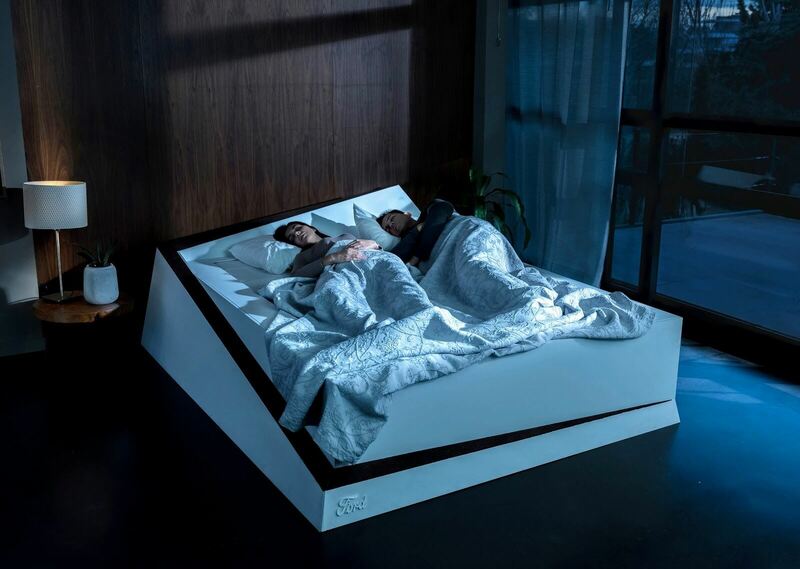 Using weight sensing technology, if Ford’s Lane-Keeping Bed detects that you or your significant other have strayed from the appropriate side of the bed, the mattress’ conveyor belt will act, sliding both of you towards whichever part of the bed has more free space. Ford claims the bed was built using knowledge they gained from developing lane-assistance tech in their cars. That claim seems a bit dubious, but then again, the whole concept of this bed is a bit impractical so it probably doesn’t matter. As is the case with Ford’s other goofy product prototypes, the Lane-Keeping Bed will probably never make it to market. If it does, though, it might just save a relationship or two – Ford says “1 in 4” couples sleep better alone.